Yes, this is Sicily too! Etna is the largest, most active volcano in Europe. Its peak, pictured on the left, behind the plume of smoke, is about 11,000 feet above sea level (a height that changes according to volcanic activity). During winter months, you can ski on it. On Day 6 of our May Experience Sicily with Chef Melissa Muller tour, we’ll walk along an inactive crater (like the one pictured) with our expert, local guides. Join us May 19-31, 2016 for a spectacular Sicily tour that will surprise and delight you. Contact me at AllisonScola@ExperienceSicily.com for more details. 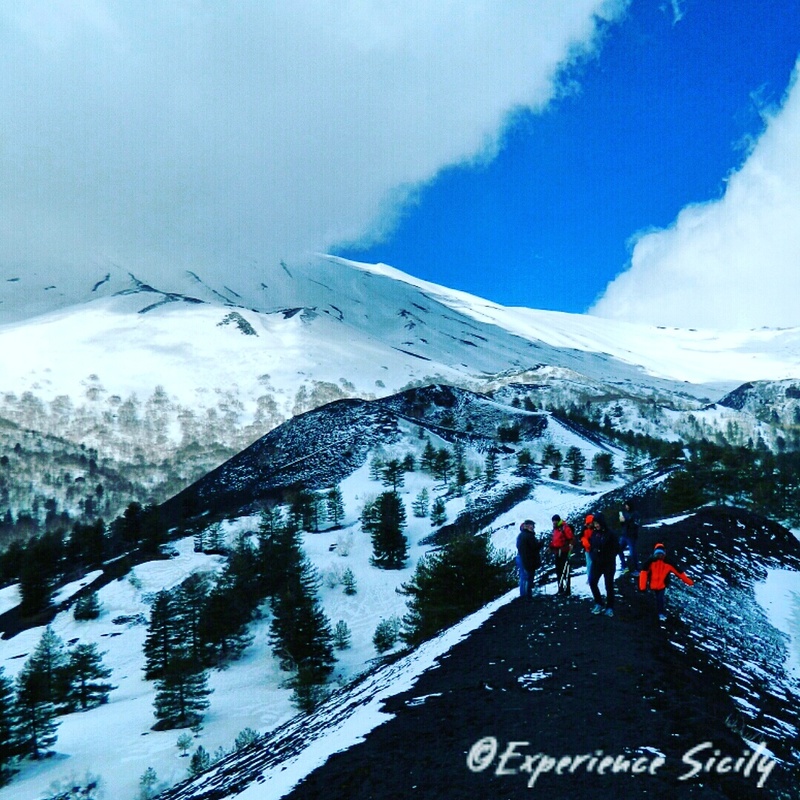 Previous Post Our May 2016 Sicily Tour, Day 6: Etna Rosso or Etna Bianco? It was great fun to climb across this ridge, even with the high winds that day. For those who wish a less challenging hike there are rest areas on the way up where you can shelter yourself with surrounding evergreens and just enjoy the beautiful views. Yes, and our expert guides will take of you!